ROBERT L. TEICHER is a principal of Brody Wilkinson and a member of the firm’s Trusts & Estates, Business and Dispute Resolutions Groups. Mr. Teicher practices in the areas of estate planning, estate and trust administration, taxation and business law. Mr. Teicher is a Martindale-Hubbell AV-rated attorney. His trusts and estates practice includes assisting individuals and families with tax-efficient estate, gift and charitable planning, advising business owners on succession planning, and counseling executives and business owners on asset protection planning. He also provides international estate and tax planning guidance to individuals and families with foreign property interests or foreign citizenship. Mr. Teicher’s business law practice includes representing closely-held businesses, partnerships, limited liability companies and non-profit organizations in entity formation and general business matters. In addition, Mr. Teicher provides tax counsel in connection with structuring complex business transactions, mergers and acquisitions, restructuring private companies, executive compensation arrangements, and real estate matters, including partnership and limited liability company agreements and “like-kind” exchanges. He also handles tax controversies from audit through litigation, and has successfully represented taxpayers in state and federal courts, including the United States Tax Court and the United States Court of Appeals. Mr. Teicher is admitted to practice in Connecticut and New York and is a member of the American, Connecticut and New York State Bar Associations. He is past vice chair of the Tax Section of the Connecticut Bar Association. He is past chair of the Tax Committee of the Fairfield County Bar Association. He is also a member of the Society of Trust and Estate Practitioners, a leading international organization of practitioners in trusts, estates and tax law. 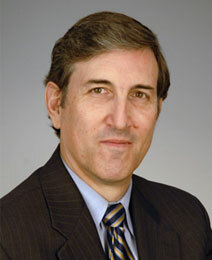 He is a member of the Estate Planning Council of New York City. He regularly publishes articles and speaks at seminars on tax law. He is an adjunct professor at the Quinnipiac University School of Law, where he has taught partnership tax, estate and gift tax, income taxation of trusts and estates, and tax procedure. Mr. Teicher received his B.A. from Yale College in 1972 and his J.D. from the Vanderbilt University Law School in 1976, where he was research editor of the Vanderbilt Law Review. He received his LL.M. in tax law from the Quinnipiac University Law School in 1990. Mr. Teicher is active in numerous charitable and community organizations. He is a past President of Congregation Beth El, Fairfield, Connecticut, and of West End Synagogue in New York City. He previously served on the Boards of Jewish Family Service in Bridgeport, Connecticut, the Connecticut Association for Children with Learning Disabilities, the Connecticut chapter of the Anti-Defamation League, and the Fairfield County Chorale. Mr. Teicher resides in Bethel, Connecticut and New York City, with his wife, Denise.